When I was a young lad, Mum and Dad used to take my sisters and I on yearly, international trips. We would do that MANY MANY times a year. Sorry... what was that? You think I'm bragging?! Hold up! Give me a second to reread what I typed. Wow, I did sound like a jerk huh? Thanks for being upfront with me. I'll try again. Ahem, ahem. We would do that many many times a year. Better? What?! I still sound like an arrogant prick? Ohhhhh... now I get ya. Please allow me to explain myself. You see, I was born and bred in Singapore. Mom and Dad's apartment unit is in the northern part of Singapore, so a 20 minutes walk across a bridge would equate to a trip overseas. Welcome to Malaysia! 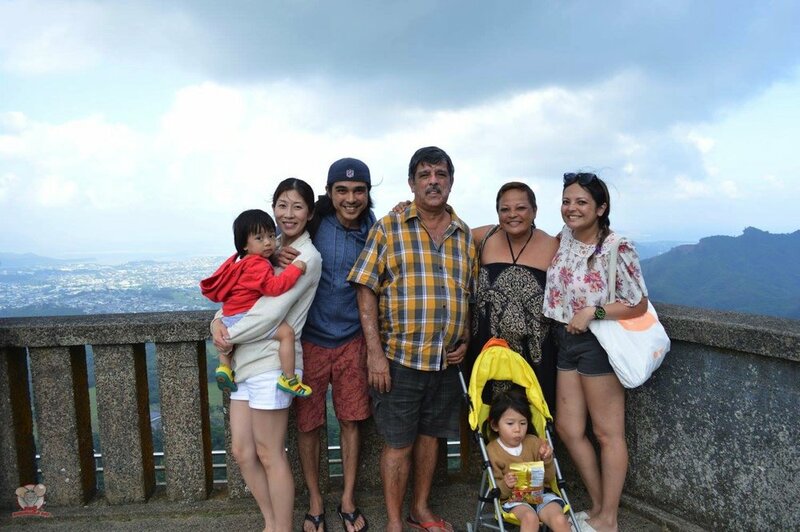 Since I moved to Japan, family gatherings have always been in Japan or Singapore. There was always something going on with someone in the family when we get together in these two places. Most of the time, it's a four letter word that starts with a "w" and ends with a "k". I'll leave that little puzzle to you. When I got married to Wife-chan, instead of a wedding, we signed up to be members of Disney Vacation Club with Aulani as our home resort. I highly recommend all couples to do the same. It's the same price as a wedding, you can enjoy it more than once and it lasts longer than a lot of marriages do. For this trip to Aulani, we decided to reserve a week in a 2 Bedroom Villa and invited the entire Rat family to Hawaii. For the first full day in Hawaii, we decided to head to KCC Farmer's Market to enjoy some food and moved on to the capital of Japan, Ala Moana, right after. KCC Farmer's Market had some really good grub. You can read more about the food here. In Ala Moana, we walked around and did some shopping. 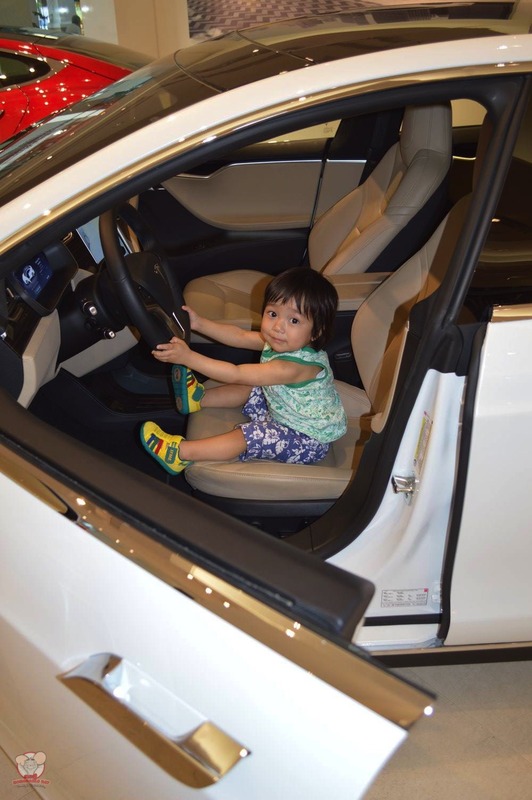 The highlight of my day at Ala Moana Center was the Tesla Showroom. I've always wanted to own a Tesla, but have never actually seen one in real life before. In this showroom, I got the chance to not only see, but to also sit in a Model S. It was brilliant! One day my friends, one day. 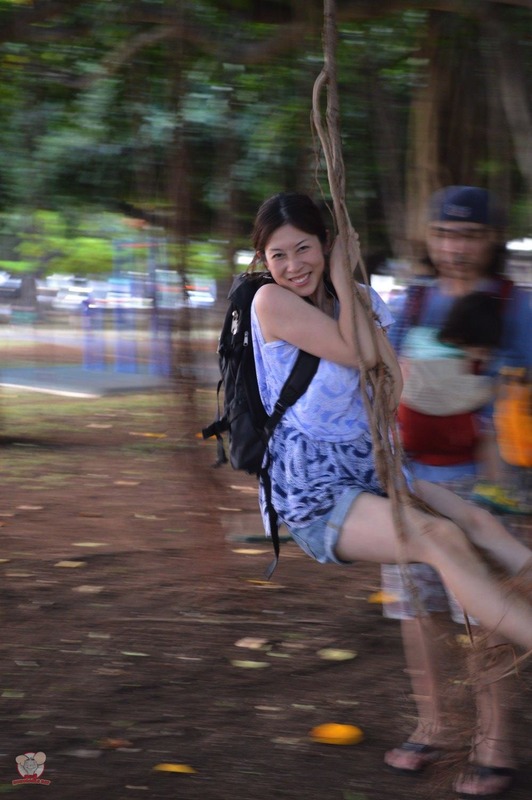 After our shopping spree, we headed to the nearby Ala Moana park for a reenactment of a scene from Tarzan by Wife-chan, before heading back to the hotel. On day numero dos, we drove up to North Shore to go food hunting. If you are making your way to Oahu, I highly recommend for you to head up to North Shore. Rent a car and drive up there for one very simple reason. North Shore has great food! Also, the atmosphere was way more relaxing than that of Waikiki's. It was less crowded with less tourists. While we were at North Shore, we got some food from Pupukea Grill, Ted's Bakery and The Elephant Truck. All of them were great. You can read more about them here. While we were dining in Pupukea Grill, Dad spotted some whales in the ocean. All of us walked towards the beach to get a closer look and it was magical. It was so magical that I didn't even think about taking a picture. Although I have no picture to look back on, that moment is tattooed in me. It was one of the most beautiful moments in my life. 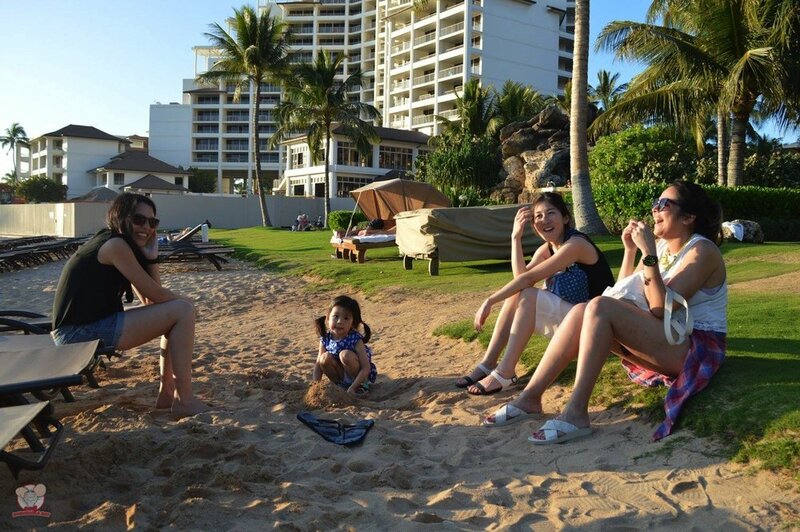 When I was a young kid, Mum and Dad brought our family to Oahu. I remember nada from that trip except for one thing. I remember this one thing because my father will not stop telling us about it. It has become one of those stories that he likes sharing at random times. 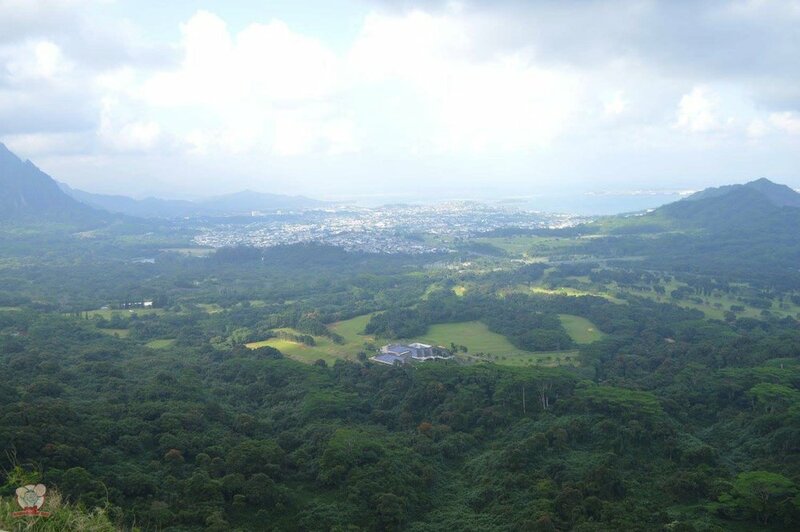 When we were young, Mum and Dad brought us to Nu'uanu Pali Lookout. During our hike to the top, TinkerRat couldn't stop crying. It was super windy and she was afraid that the wind would take her away. After telling us this story, he always continues with the folklore of how someone tried committing suicide by jumping off Pali Lookout. The wind was so strong that it blew this person back to safety. Knowing how much Dad loves telling this story, we had to drive up to Pali Lookout during our trip. We had to give him the chance of telling us this story again in the actual location. Head count... okay, we are good! For the rest of our trip, we stayed in Aulani. We would start the day by waiting in the living room for everyone to be ready. We would have breakfast in the room, watch TV, plan our day according to Aulani's Daily Activity Schedule and reconnect as a family. I really enjoyed the times spent in the room because it reminded me of being back home in Singapore. Situations have changed, responsibilities have changed, our roles have changed, but somehow, someway, in that room, it felt like nothing really did change. The room had the same aura that I felt when I was living back home in Singapore. It was pure love. 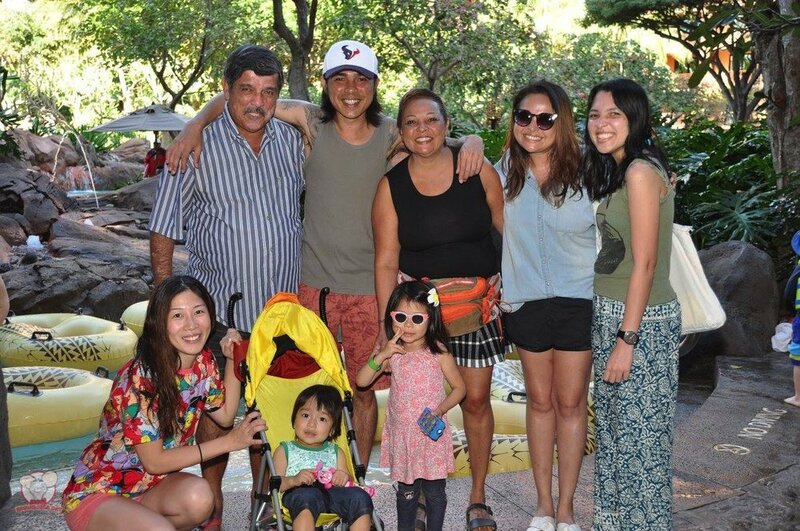 Throughout our trip, we enjoyed some of Aulani's activities as a family. 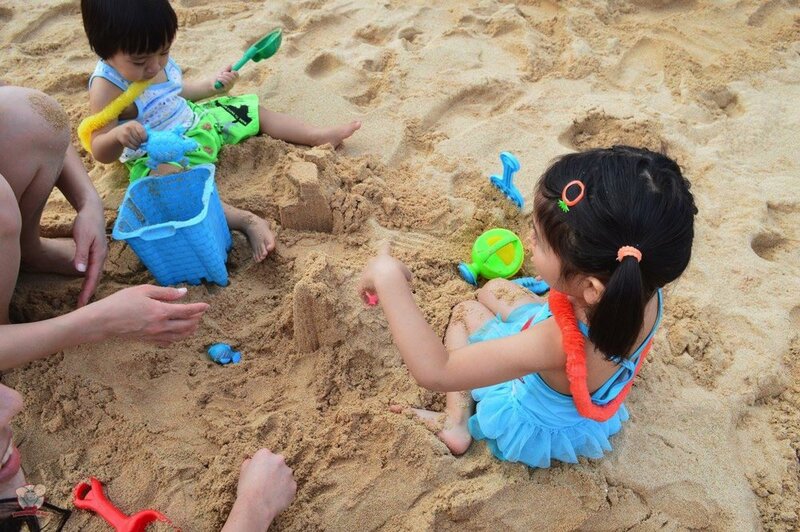 We participated in a few activities on the beach and by the pool. Good fun for the whole family. Also, we would rent DVDs from the Pau Hana Room to watch in our room. For some odd reason, Little Mahina kept wanting to watch Special Agent Oso, so we kept returning it and reborrowing it. We watched it so many times that all of us were humming its theme song at random times. Oh crap, it just popped into my head again. Time for me to drown it out with some Beach Boys. There's nothing more beautiful than waking up and not having to think about work. That is a luxury. I woke up everyday in Aulani with one simple question, "So what do you guys feel like doing?" I just followed whatever suggestion that was uttered and when nobody had any suggestions, we would all go to the beach to relax. I'm rehydrated! Let go of me! I gotta keep this beach safe! 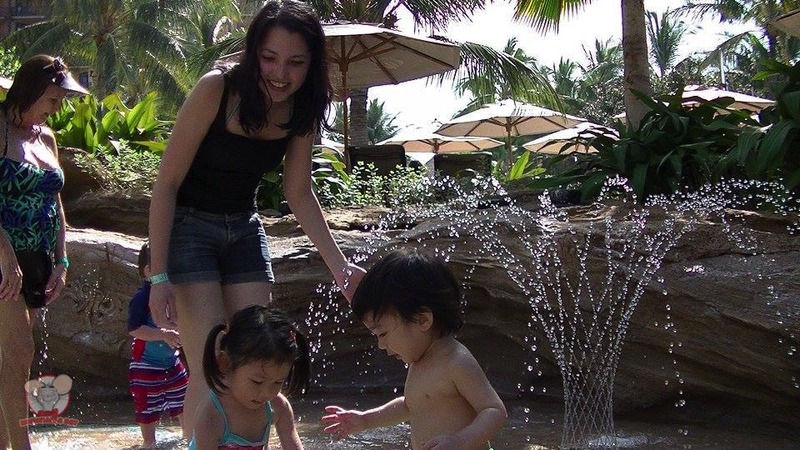 Many times, the kids would request to go to the pool. This was definitely a highlight for them. This and Special Agent Oso. They loved heading to Keiki Cove. We also enjoyed hanging around the pool area waiting for the characters, or just eating popcorn on the pool chairs waiting for the sunset. 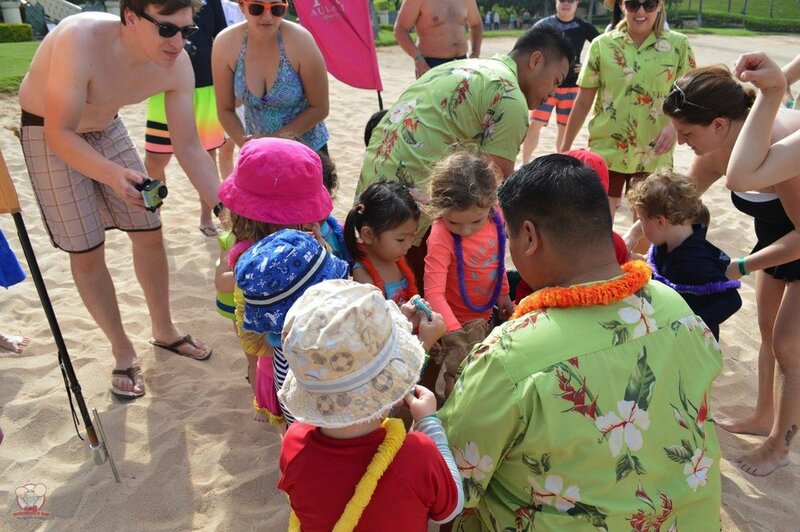 Aulani has the best character meet-and-greet in all of Disney! After having been to all Disney parks except for the one in Shanghai (coming soon in September 2017), I can safely say that no character meet-and-greet can compare to that of Aulani's. The characters took their time to mingle and they remembered us. 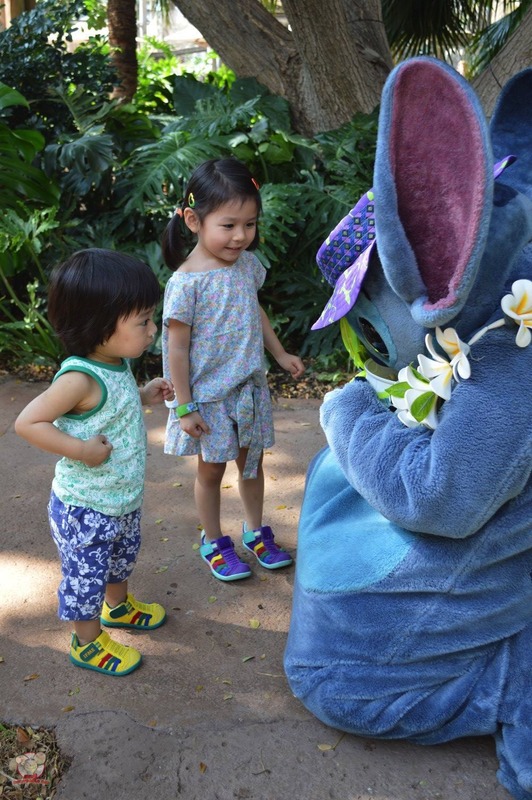 When we first met Stitch on this trip, the Cast Member accompanying Stitch actually remembered Little Mahina from our last trip to Aulani. That was 2 years before this trip! Click here to read about that last trip. That alone made it extra special. Throughout our trip, whenever we met the characters, the Cast Members would remember the kids' names and the characters played the role of friends. The kids would just smile from ear to ear and talk about how they would like to meet their friends again, the very next day. During the planning stages of this trip, there was a point when we actually thought about getting two Studio rooms. Getting two Studio rooms would have saved us a significant amount of points. Now that the trip is done, I'm so happy that we decided to go with the 2 Bedroom Villa. For me, personally, the best thing about staying in the 2 Bedroom Villa was the kitchen and the dining area. Before this trip, I have not tasted Mum's cooking for 4 years! 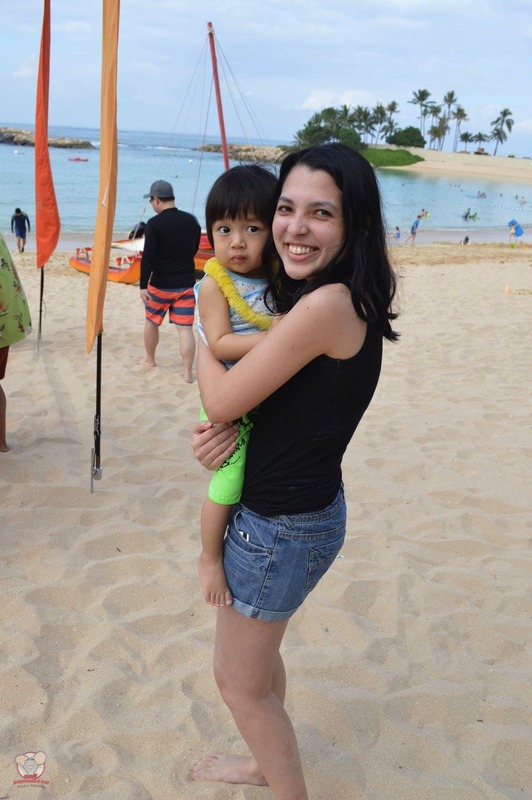 For this trip to Aulani, I got to enjoy it everyday! Nothing beats having a home-cooked meal with your loved ones in the comforts of home. 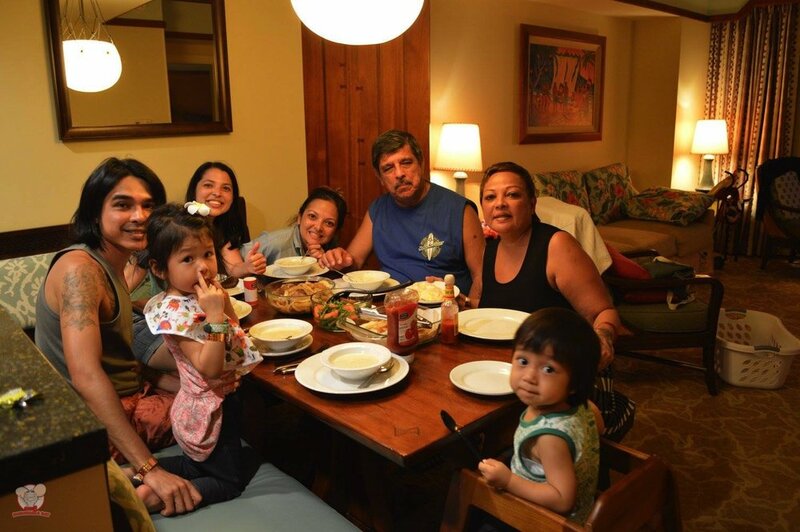 When we first arrived at Aulani, the Cast Members greeted us by saying, "Welcome home." They were definitely right about that. Throughout this trip, our 2 Bedroom Villa certainly gave us that homely feeling. Till we meet again Aulani and thank you for the beautiful memories. This attraction is one that my kids love. When we are at home, they always ask for me to play the theme song on my iPhone or to watch the ride-through on YouTube. My family is in love with Pixar. We love every animated film that comes out of that studio. A Pixar film is always great fun for the whole family. I would suggest spending a bit of time here getting souvenirs for your loved ones back home. There's a wide range of Japanese snacks being sold for really cheap. 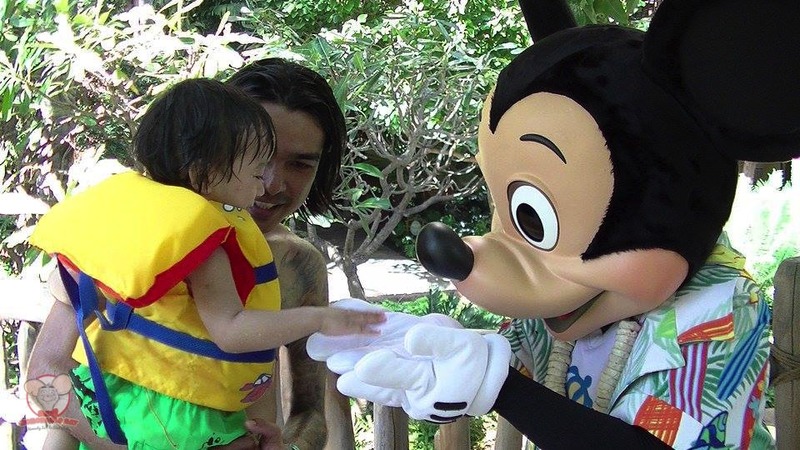 Little Mahina would go for a Character Meet & Greet at least twice a day. The beach is where we feel the most relaxed and inspired. Naturally, we were super excited to introduce this beautiful part of nature to Little Mahina.